A MAC address (media access control address) is a unique set of alpha-numeric digits used to identify a device within a network. Every device has one. It can be found printed on the device (e.g. for a phone, it may be on a label on the back) or in user settings. If you obtain a MAC address, you can then search for the MAC address using the Connect MAC Address Finder, found under Switches. To find the MAC Address on a Polycom Handset, you can either check the back of the handset or on through the handsets interface. 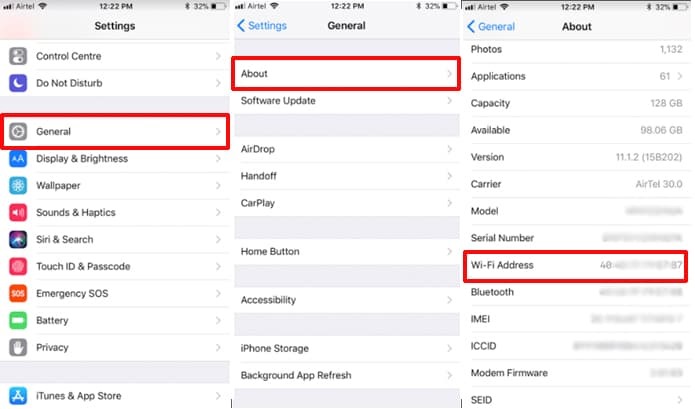 To see the MAC Address on the handset menu, select Home key - Settings - Status - Platform - Network - Ethernet - MAC Address is the top line. 1. Open the command prompt. Right-click on the Start button and select Command Prompt from the menu. 3. 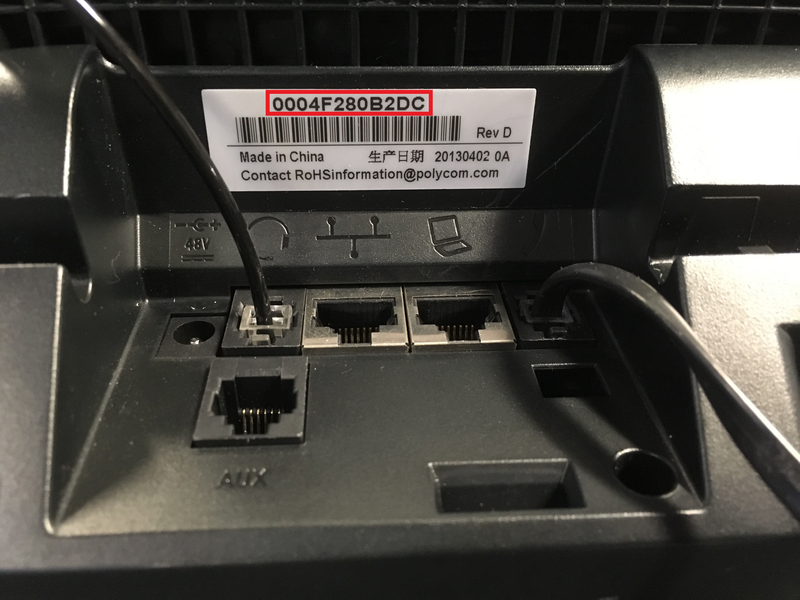 Find your adapter's physical address. 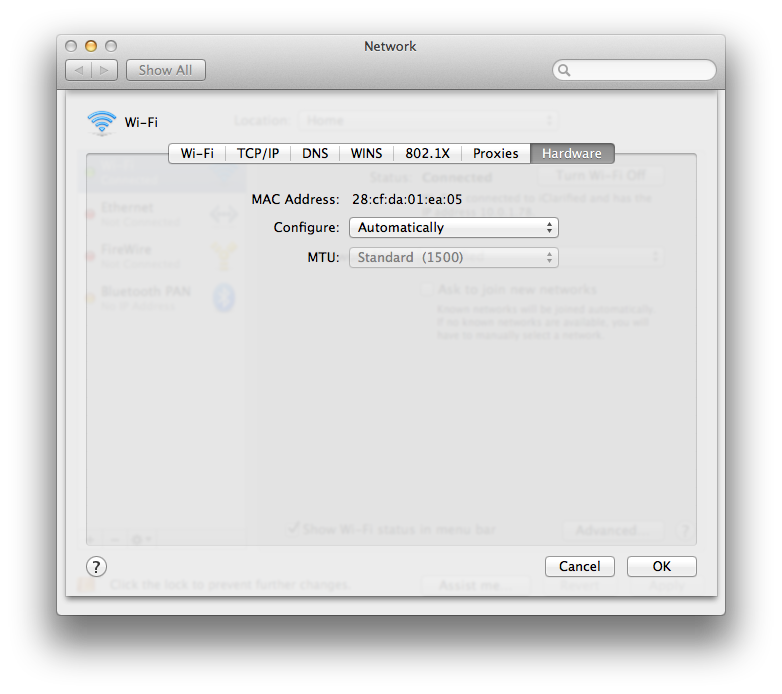 Scroll down to your network adapter and look for the values next to "Physical Address," which is your MAC address. 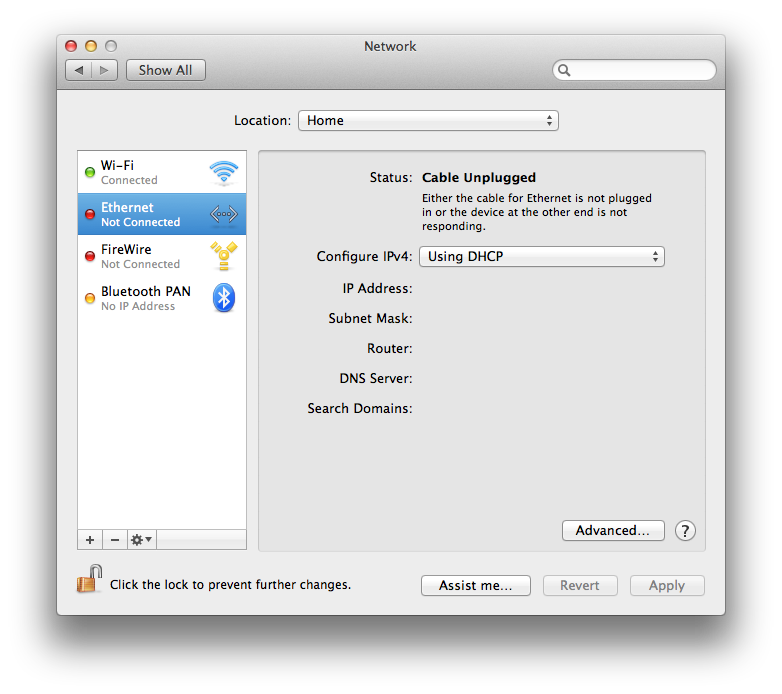 These are instructions on how to find the MAC address of your ethernet or wireless networking card in Mac OS X.
Click Network from the System Preferences menu. 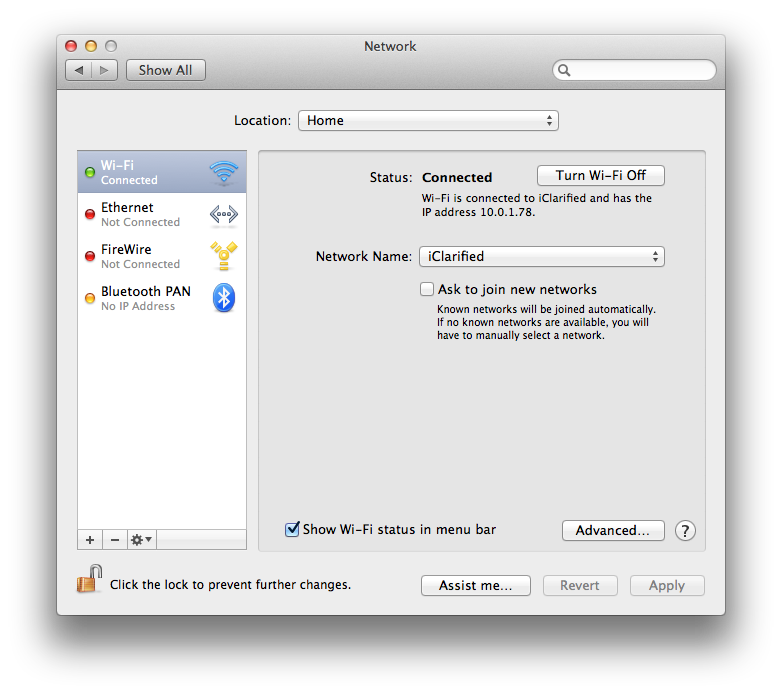 Choose Wi-Fi from the list of interfaces on the left and click the Advanced button. Choose the Hardware tab under which you will see the MAC address of your wireless card. Press Cancel to return to the Network menu. 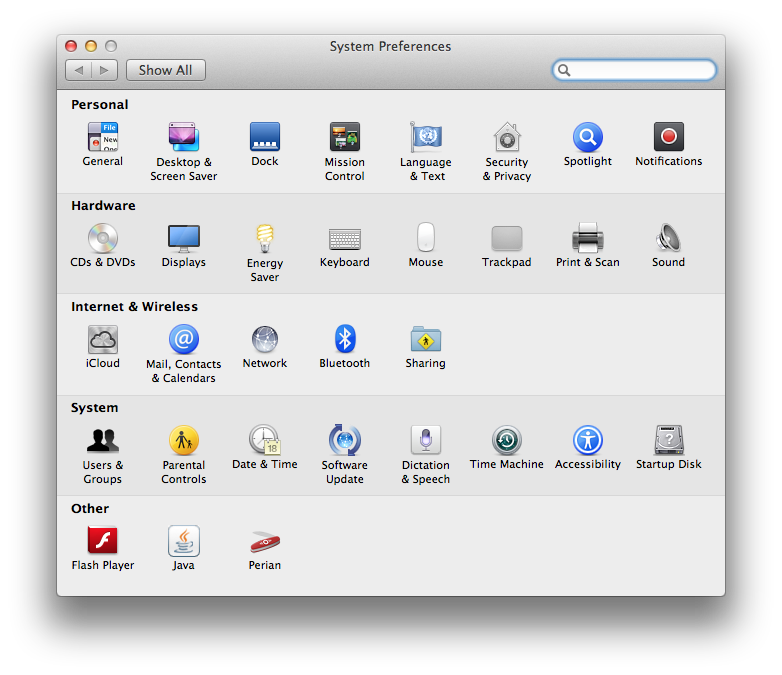 Choose Ethernet from the list of interfaces on the left and click the Advanced button. Choose the Hardware tab under which you will see the MAC address of your ethernet card. Android have many versions so the below may not apply to all Android handsets. Look for 'wireless address' or similar. Navigate through the settings on the printer's control panel to find an option to print a configuration page. 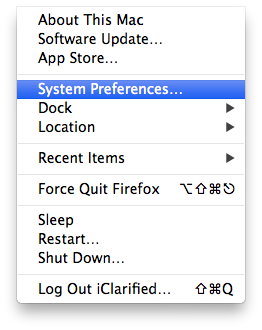 You can sometimes find the option in "Report Settings," "Network Setup," "Print Setup," "Self Test" or a similar menu. Review the manual that came with the printer for instructions to locate the MAC address if you're unable to find the address following these steps. Inspect the back and bottom of the unit for a product sticker. Check the label for a 12-digit address.